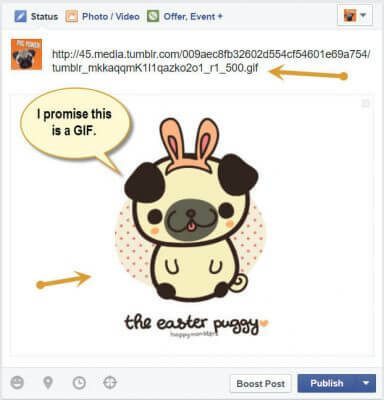 GIF’s can spice up your Facebook page and brand awareness. The answer is, “What kinds of posts are most interesting for the audience?” To find out, you have to experiment. 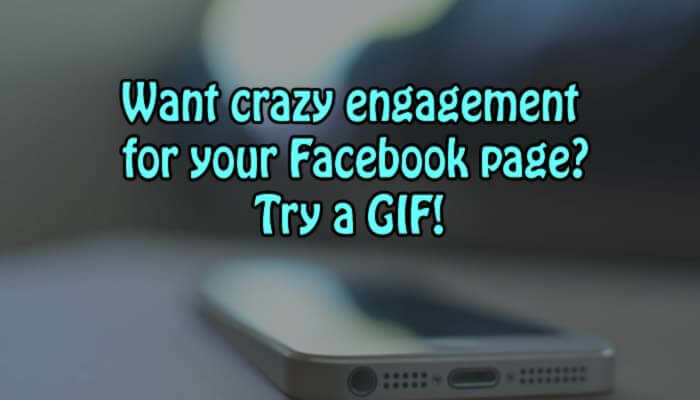 Now that Facebook allows pages to post GIF images, it’s the perfect time to find out! As long as you stay true to your brand and audience, you can’t go wrong. 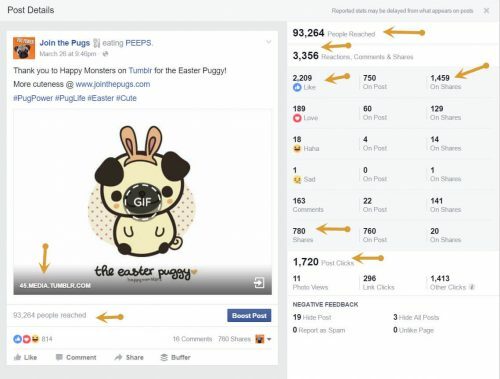 As you may know, Facebook has steadily been rolling out a variety of new post types for pages. This is fantastic! Every post type allows you to share your brand or company story in a different way, and engage people in a way you may not have been able to before. It may seem silly that a GIF post would have a higher engagement rate than a photo or video post, but like most things in life, it certainly can. It depends. Facebook has also rolled out Carousel and Slideshow post types for pages that I will be discussing in future posts. However, let’s focus on the mighty GIF. This digitally animated image is almost as old as HTML, yet it never seems to lose its power. It’s a simple, yet fun way to communicate much more than a static image. Interestingly from a psychological standpoint, there’s much evidence to show repeated images make a memorable impression. You should know that GIF’s are available for both pages and profiles, so you can try this for personal use. Firstly, you need to create the GIF in Facebook. This is somewhat more complicated than necessary, but I will show you the easy way to do it. Once the preview is working, you can and should delete the link. Always look at the performance of a new post type in perspective. How does it compare to engagement rates on photos, videos, etc.? How many likes, comments, and shares were made? What about shares of shares, and fans vs non-fans? 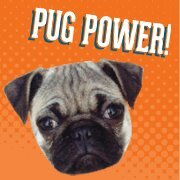 The brand I’ve been using for these examples is Join the Pugs. 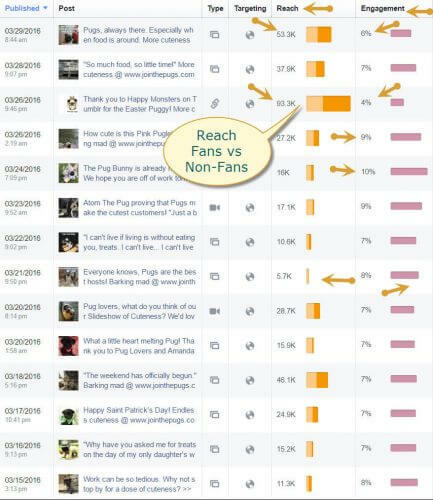 This is a branded Pug dog community I created in 2012 because I wanted a way to study behavior in a large, predominantly female, young adult audience. This is the Facebook page for the brand. There is no advertising used with this brand. It was designed to study organic reach in a 100K+ population size. This makes the success of a GIF post all the more interesting! The total number of fans for the page is ~135K while the GIF post has 93K+ people reached organically. You may notice a bug in Facebook’s Insights reporting. The engagement rate for this post is indicating 4%, yet this is impossible based on the reach, especially of non-fans. If you are reporting on Facebook activity for your job, company, etc., keep this anomaly in mind. I’ve seen this bug several times now, whereas similar posts were indicating 12-15% and higher engagement rates. 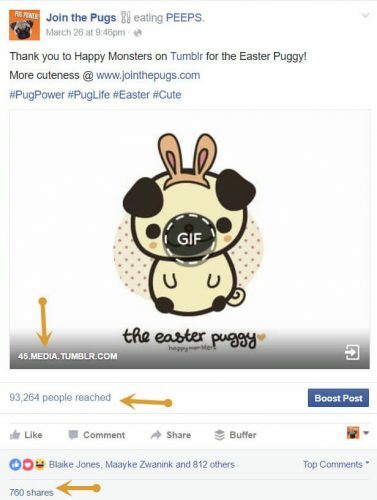 GIF’s can be a successful addition to your brand’s awareness. In an increasingly competitive Social Media environment, it’s my belief that one should take advantage of every opportunity to reach your audience.